mwe3: The River starts off your new CD Ill Be With You. What does The River signify in your life and on the new album and what do the lyrics in the song mean? Erin Kelly was also on Celtic Skies, so the vocals and lyrics is now more a part of your palette of sounds? During this search another guy was seen jumping from the Foyle Bridge by people out searching, it was an extremely traumatic event for all involved and this inspired me to compose. I had this line in my head I hope and pray that darkest river brings him home and from this I built up a composition and lyrics. Although my intention with this album was to create a more positive vibe, I felt I had to include this piece as it was inspired by a local tragedy. I asked Erin to sing this piece as she done a wonderful job on the track Irish Skies and I believed her tone would perfectly suit the mood of the song. I would definitely like to add more vocals and lyrics to my music although I have to admit words are not my strong point! I dont find it natural to write lyrics so most of my future albums will probably continue to remain predominately instrumental. I enjoy layering vocal textures and creating ambiance in my tracks by experimenting with sampling and various effects, so you might hear more of that approach on future albums. mwe3: Are you going back to your Irish / Celtic music roots on Ill Be With You And what were some of the other inspirations behind the new album? For example, on your Celtic Skies album you were inspired in part by your family and becoming a grandfather. Ill Be With You is a wonderful tribute to a particular person who stood by me in my darkest times. Its not intended to be a sad album, quite the opposite, an uplifting album that celebrates everything that is good about life, stepping out of the darkness into the light, having that rock to lean on when times are tough. In many ways it is inspired by my family, as they are all part of this wonderful journey Im now able to take, and if it wasnt for them, things could have been so much different. mwe3: Your piano sound on Ill Be With You is excellent. It seems like youve found a way to combine everything on this album and you can hear that on Guiding Light, which combines voices, piano, synths and even saxophone too. Are the sax and vocals sounds real or sampled? On Guiding Light theres also some electric guitar sounds too? Seems like youve found a great way to expand and expound on your sound and the guitar sound is great by the way. Eamonn Karran: Thank you! Ive been working on finding a piano sound that sits well on its own but still shines in a bigger mix. When I composed Guiding Light, I thought to myself, this will never fit with the album. It was one of those tracks that seemed to sound too detached from other pieces. I was experimenting with different sounds and came across a piece of software, which Id forgotten about called 'lap steel guitar'. Id done a little programming and was surprised how much it could actually sound like an electric guitar. mwe3: On Celtic Skies, you featured the Yamaha P105 and also some VST gear by Acoustic Samples. Have you gone further into the world of VSTs with new technology on Ill Be With You? How did you balance your use of hardware synths and the VST gear? You cant really do that with a live or stage piano. The beauty of working this way is that I can go back weeks later and touch up anything that doesnt sound right. 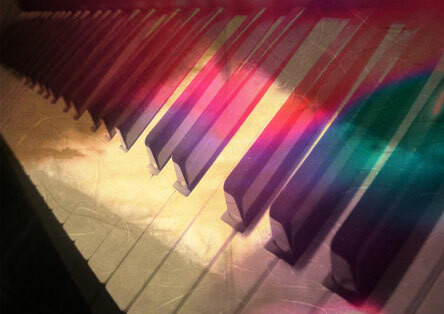 My main piano on this album is a VST called 'Addictive Keys'. Thats the main sound on Ill Be With You, and it just seems to work well out of the box. Ive used some hardware keys on a few songs but very little and I can see myself moving away from hardware synths on future albums, mainly because I have such a large palette of high quality sounds on hand through VSTs. My Yamaha MO6 and Korg TR76 are quite old but I still love their sounds for live use and have used them on the album for some background pads. As for new VSTs, theres a few, mainly synths. I used Air Hybrid 3 and Z3TA quite a lot on the album, wonderful for pulsating sounds that compliment the percussion, gives a nice modern driving feel to the tracks, and you can hear this clearly on Mac Lir. Quite a few people have commented on this album having a more up to date feel. That was my intention and I intend to develop this sound on future albums. mwe3: The title track Ill Be With You is excellent. Does it reflect your love of Celtic and Irish music? Why do you call the album Ill Be With You and what can you tell the readers about the title track? The percussion track is very cool in that song. Youve used the Sampletank ethnic percussion before right? 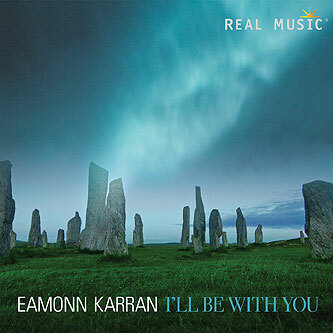 Eamonn Karran: Ill Be With You was initially intended to be a vocal track. I had some lyrics written but never got a vocalist to try them out. I sent the track to Real Music and they loved it as an instrumental although I may decide to add vocals at a later date to see how it sounds. This track, like the album is dedicated to the people who have supported me during dark times, they are the sole reason I create music. The title Ill Be With You embodies the unending love and support my wife has given me over the years. I love Sampletank for so many reasons but its percussion is wonderful. I have used it on every album except Distant Sun. The shaker sound is played live from Sampletank and then I added a reverse reverb using a VST called LFX1310 to give it a natural live feel. The deeper drums are sourced from Looploft samples that are stretched and cut and layered into the track. I added reverb effects to give each percussion track its own space to shine. mwe3: Morning Light has a very meditative vibe and you can almost feel the sun rising the way the piano is draped by the swelling synth sounds. Are you more of a morning kind of person or a night person? What time of day is your favorite and how do the different times of the day or even the time of year affect your compositional approach? Some composers love to write and record in the winter. Eamonn Karran: Im an awful morning person! think as I get older, it gets worse... It takes me forever to come round. I would tend to stay up later at night but it wouldnt be my favorite time for composing. Morning Light represents a new day dawning, a positive relaxing track that looks to a bright future. I mainly compose during the day, thats when the kids are at school and I get time and silence to think and create. I like to travel and draw inspiration from the world and sounds that surround me, so daytime is definitely my favorite. As for seasons, I love winter into spring. Once Christmas is over and we get into the swing of a new year, I find myself being inspired to compose. The warmer, brighter days and stretched nights have a wonderful positive influence on the music I create. mwe3: A New Dawn also has a kind of morning sound to it, like an awakening or kind of birth of light effect. The Uilleann pipes sound great on this track and coupled with the percussion the track its a real winner. The drums are prevalent on this track too and they sound quite real too. Are the drums programmed and what programs did you use for the Uilleann Pipes? The track is a real high point on Ill Be With You. Eamonn Karran: Yes, youre spot on about A New Dawn having a morning sound Robert. This song is a positive upbeat track, looking to the future and what I hope it may hold for myself, my music and my family. This is one of my favorite tracks on the album. I love the sound and production. Im proud of how it has turned out and was a benchmark for tracks to follow. The drums are performed live using a VST called DrumMica. Unbelievably, this is a free VST from microphone manufacturer Sennheiser and has some of the best natural sounding kits I have heard. I use it above other VSTs that cost quite a bit. I also used Sampletank for background percussion effects. I genuinely dont think I would get a much better sound if I was to use live drums and percussion plus, theres the bonus of being able to edit and tempo match these programs with the rest of the track if I ever need to change things later. As for the pipes, these are from Cinewinds VST. This is an incredible VST that contains fabulous Celtic pipes and whistles. Personally, Id prefer to use live pipes but as these are restricted to being played in certain keys. Its not always possible to use them on some tracks whereas with the VST pipes, I can play them in any key. mwe3: The Pipers Dream is quite inspired by the Uilleann pipes sound once again. How would you compare the Uilleann pipe sounds with, say the sound of bagpipes, for example? Can you remember the first pipes sounds you heard as a young person? Its a fascinating kind of sound. I remember I first heard the Uilleann pipes on the Chieftains' soundtrack to Barry Lyndon and its haunted me since. I forgot to ask you who your favorite Uilleann pipes players are? Are the Chieftains still popular in Ireland? Eamonn Karran: Most of my tracks are based around percussion, piano, harp, synths etc. with pipes being added in for an extra bit of emotion. When I started composing The Pipers Dream, I wanted to create a track built around a pipe melody. I was heavily influenced by a Davy Spillane track called Midnight Walker. Its a stunning piece of music featuring pipes and pads. Hes an incredible piper and I love his style but if I was to be honest, my favorite piper is Gabby Fitzgerald who is featured on my track The Beginning. Hes a multi-instrumentalist, singer songwriter who has released some fantastic work and is a pleasure to work with. He was the first person I heard playing pipes back in the early 1990s and its haunting sound has stuck with me over the years. Personally, bagpipes dont compare. I find bagpipes to have a more brash and aggressive sound, they are a wonderful instrument but for me, the Uilleann pipes have so much more emotion, they have a beautiful flowing tone that seems to hit that spot every time, they can easily bring the listener to tears. When a masterful player such as Gabby plays the pipes, its takes the track to a whole new level, and I intend to feature his playing much more on future albums. A great band and seriously influential on the Irish music scene across the world, they are still a very prominent band and pull great audiences whenever they gig. I must look up the Chieftains music again tonight, might just get some more inspiration. 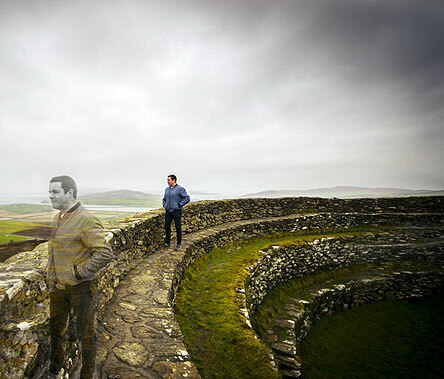 mwe3: The inside cover art of Ill Be With You features you looking out over a vast terrain of landscape. What can you tell us about that picture and the CD cover art too is fascinating and quite effective. Are those Runes on the cover from Ireland? I was thinking it has a very Stonehenge effect to it. Whats some of your ideas on these phenomena like Runes and also Crop Circles? Are there Crop Circles in Ireland too? The front cover is a stock photo selected by my label Real Music. I believe these are Scottish standing stones, taken by a talented photographer called Simon Hattinga Verschure. 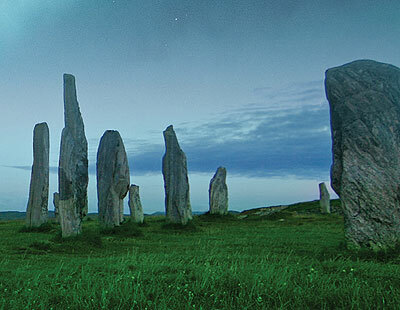 These standing stones are to be found in many cultures, but few are left in this condition. 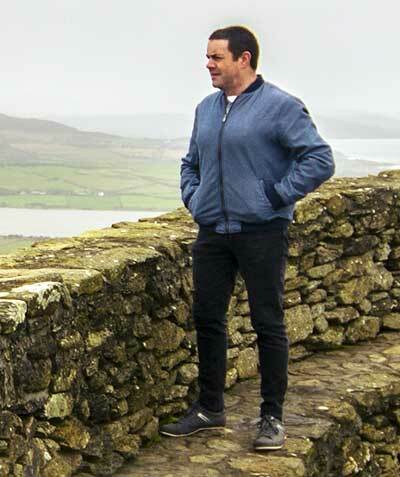 I was actually walking in Donegal a few months back. We took an off road track towards a cliff and came across the remnants of a huge stone circle, and you could see where they had fallen and become buried over time, but the outline of the circle stilled remained. It always fascinated me how these cultures managed to move such huge stones long distances to these sites and erected them in such wonderful formations. Its true dedication to their culture and beliefs. I have seen so many crop circle photos and videos over the years. I love this phenomena! I hold the belief that many are of extra terrestrial origin. I understand that some could have been faked but when you look at the intricate pattern of some of the best circles, there is simply no way anyone could produce this overnight and in such perfect formation without an aerial view point. Also, when we study some of the designs they relate to the position of planets and some even forecast events to come, they are amazing. I would love to come across one. For some reason they are not as common in Ireland although there has been some reports over the years, and maybe Ill get the chance to discover one on my journeys! mwe3: What inspired the track Peace? What do the lyrics speak of and is that Erin as well on that track? Do the lyrics reflect peace of mind or peace on earth? What inspired that track and what are some of the key lyrics on Peace? The vocals are sublime and quite ethereal. I wish you could have printed the lyrics. its impossible not to be moved by whats happening across our world. mwe3: After some of the ethereal sounding tracks Thought Of Tomorrow is darker and introspective. Is Thought Of Tomorrow more funereal sounding or maybe its kind of a lament of sorts? Did you write Thought Of Tomorrow with anything / anyone or some event in mind? 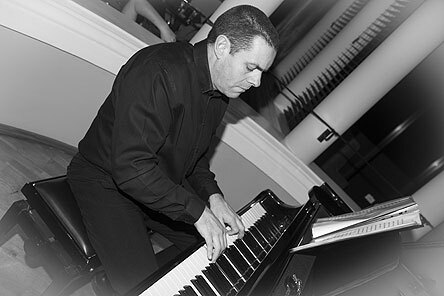 Eamonn Karran: The piano part on this track was initially recorded in one take as an improvisation. I liked what I heard and decided to layer it out with strings and pads. Its a very deep track... not so much an Irish vibe but more contemporary or New Age piano, with some of my Ludovico influences coming out in this piece! to have this gift to be able to vent my thoughts and fears through music. Looking back, I can see how traumatic it was for those around me to witness me behaving the way I did but when you have a mental illness, such as depression you dont see this, only a dark place. My hope is to inspire others to open up about their problems, seek help, speak out and share your burden, think about tomorrow and what gifts it may hold for you. mwe3: How about Requiem? Is it kind of a genesis or birth sound in your mind? The synth sound is brilliant and unusual. Coupled with the soaring vocal, Requiem is one of the more unusual sounding tracks. How did you layer the vocal sounds and how would you describe the synth sound? Sounds like a church organ Rick Wakeman used to get with YES. Is the vocal sampled? Is the vibe of Requiem kind of a religious effect you were going for? Eamonn Karran: I love this track! Its one of my favorites. Yes, its very unusual and is not so much about a death but a rebirth, a new start and a chance to make something incredible using the gifts I have. The requiem is for my old life... I wanted to create a heavenly spiritual sound without being too typically New Age, so I thought why not try a church organ! Ive never used one on any of my tracks but I do have an amazing VST called Leeds Church Organ which has lay unused for many years. I tried it and was amazed how incredible it sounded, its reed organ is perfect for this style of music. I then used VST Alchemy to get some nice rich string synth pads and I carefully layered them using reverb and stereo imaging to create this big sound. The vocals are from a sample pack I have, I like the haunting sound of this particular vocal line and it seemed to work well as a sort of lament. By the way, I love Rick Wakeman! Now that you mention it, it is very similar, and it definitely must have been a subconscious influence. mwe3: Any comments on The Beginning? Its got that quintessential Irish music sound. Were you aiming for a very traditional sound on that track? Eamonn Karran: The Beginning is another song about reflecting on getting that second chance at life. Its certainly more Irish and I wanted to write a piece that featured my friend Gabby Fitzgerald on the pipes. Gabby has been playing various Irish traditional instruments for many years and is recognized as one of the finest in his field. On many other tracks Ive used VST pipes but for this it had to be live. I wanted to give this piece an uplifting feel after the darker vibes that ran through previous tracks. On future albums, I may feature more live instruments. Sometimes it can be difficult to get musicians in on time to record and this can hold up production, thats why Ive mainly used virtual instruments on most of my compositions but I love the natural sound and feel of live performances. mwe3: What can you tell us about Mac Lir? It has a very Irish title. Does that track take you back to Irish mythology again? You were telling me last time how inspired you are by living so close to the ocean, so is Mac Lir another paean to the sea gods or deities? Is the Isle Of Man also involved in the Mac Lir legend? Tell us something about the sea Gods in Irish lore that inspired you as a young person and today as well. Eamonn Karran: I love finding new places to visit and checking out its history. I was surprised last year to discover a beautiful viewing point not too far from home that I never knew about. We traveled up one evening and sat on the cliff top looking over Benone Beach as the sun set. My kids loved it and I was intrigued by the stories and myths of the area, in particular Manannan Mac Lir, the Sea God. Some of my music is certainly influenced by Irish history and Ive always been fascinated by these stories, but I often wonder what exactly were these gods? As Mac Lir has been described as having the power to disappear, having a magic sword that can penetrate any metal, a helmet with magic lights and as being the guardian of the other world, was it possible they were beings from another world that were interpreted at that time as being gods? Since I was I kid I have believed in the existence of life beyond Earth. Ive been fascinated by the possibility that we are not alone in this universe. Throughout history, we have documented the existence of powerful beings and gods that have come to Earth. Ancient civilizations would have portrayed them as gods whereas we could be actually dealing with extra terrestrial beings. With this track I wanted to create a powerful piece of music that represents the power and wonder that these deities created and their impact on Celtic history. mwe3: Is Homeland a tribute to your homeland? Did you set out to make a kind of ethereal New Age piano solo track with Homeland? 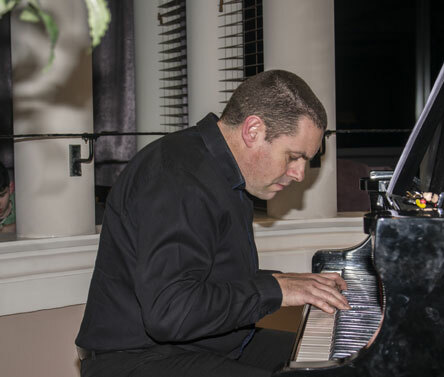 Eamonn Karran: When writing this piece, I wanted to create a piano piece that had a modern feel. I toyed with the idea of adding a live vocal over this as it has a certain modern piano riff sound to it but decided to leave it as an instrumental. It has an uplifting sound and is a tribute to everything I love about my country. If Im to be honest, although I like the track as it is, I still see this as a work in progress. There is so much I can do to this track and maybe on a future album, Ill rerelease this with vocals and more instrumentation. mwe3: Is the album-closing track Stand Beyond more of a mainstream New Age / Quiet Storm track from Ill Be With You? It would make a great single track from the album. Eamonn Karran: Yes, absolutely and another of my big favorites. I am very proud of the production on this particular track and was aiming for a more commercial sound. This track is about having the bravery to stand out from the crowd and be recognized for your talents. The vocal sample is from Iona Leigh and I wanted to build the track up to a big ending featuring a range of Celtic instruments... I have Bodhran, mandolin, pipes, whistle and violin all going at once. Ive never considered releasing a single from the album but I may look into it as this seems to be the track that has got everyone chatting. Stand Beyond is the perfect closing track to the album as it represents the core story behind the making of Ill Be With You. mwe3: Would you say Ill Be With You is your best album yet and how would you describe your frame of mind when you created it? 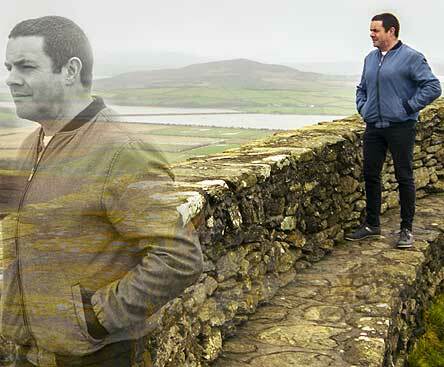 Eamonn Karran: Ive literally exhausted myself with Ill Be With You. Yes, definitely Id say this is a big step up from previous albums. Ive put my entire heart and soul into these tracks and Im proud of how it has turned out. I wanted to portray a more positive message with Ill Be With You, moving on from the past, overcoming barriers that have held me back and developing confidence in myself and in my abilities as a musician and composer. I wanted to tell the story of that guy who despite so many difficulties, decided to follow his dreams 8 years ago and is now releasing his fourth studio album. I wanted to make this a dedication to my incredible wife who has been my rock and support, "Ill Be With You", through the good and the bad. mwe3: What else are you planning for 2018 and are there other thoughts about performing live concerts in Ireland or elsewhere or any online video performances so your fans from around the world can see you perform some of the new tracks? What kind of album would like to make next and what kind of musical directions will you go in next? Eamonn Karran: Im currently working hard on album 5, no rest! Ive been talking about doing live shows for a few years. I currently do some solo piano performances at a local hotel but would love to put together a proper show, taking these tracks and transforming them using live instruments and players. I have spoken to management and they seem interested in getting a show together. Im not good at the whole promotion and marketing side of the music business. I would need a good management team, dedicated to getting this show on the road to be able to take the big step into live performances. Its definitely something I need to concentrate on over the next year. I do like the idea of streaming live though, I must look into how that is done. Would be amazing to set up a performance from home and stream it to fans. Im so excited about my next album. It will probably feature more live vocals. Ive a few tracks almost complete and Im enjoying the direction its taken, with a slightly more commercial, Moya Brennan feel but it still has my signature Celtic sound. Watch this space, samples will be posted over the coming months!